The educational institution "Baranovichi State University" invites foreign citizens to get higher education, having the education corresponding to the general secondary or specialized secondary education in the Republic of Belarus, and having finished preparatory departments of higher educational establishments of the Republic of Belarus. Instructions on how to have invitations to study sent to foreign nationals and stateless persons endorsed by departments of Citizenship and Migration at the Authorities of Internal Affairs of the Republic of Belarus (Decree by the Ministry of Internal Affairs and Ministry of Education of the Republic of Belarus of October 9, 2014 №352/151). copies of all completed pages of the passport. The copies of all documents must be sealed by a notary public. e-mail omid@barsu.by, barsu@brest.by or inessa-sobol@rambler.ru. the applicant's ID (the national passport ) with an entry visa (the purpose of the visit – studies) which is submitted by the applicant in person. Enclosed to the above documents in a foreign language must be their notarized translations into Belarusian or Russian. October 15th is the deadline for applicants to submit their documents to the Admissions Office upon arival in the Republic of Belarus, in order to start a first degree course. Interviewing is carried out according to the Instructions on interview session with foreign citizens applying to institutions of higher and secondary specialized education in the Republic of Belarus to take decision concerning an applicants’ enrolment to institution of education of the Republic of Belarus for getting higher education. Those foreign nationals who do not hold a certificate of completing a course at the faculty of pre-university training or at the preparatory department or completing any preparatory courses at higher educational institutions, or those who have completed them but they do not correspond to the course of their choice, go for their compulsory interview upon arrival in Belarus which checks their knowledge of the Russian language and their core subjects. Interviewing is carried out to define the level of knowing the Russian language of a foreigner. Interviewing is carried out when a foreigner applies for getting higher education by charge. When applying to the institution of education “Baranovichi State University” a foreign citizen is interviewed in Russian in oral form. A foreign citizen is admitted to BarSU faculties under the Agreement on Tuition concluded between the university and the applicant after he or she has been successfully interviewed. A foreign student is guaranteed comfortable accommodation in a university-owned hall of residence. For information about the cost of tuition and accommodation, please call. +375 163 48-78-72.
to undergo compulsory medical examination at a Baranovichi medical facility. For additional information please contact the Department of International and Innovation Activities and BarSU's Admissions Office. Group № 1 – foreign citizens applying to study free or by charge according to the international agreements of the Republic of Belarus. Quantity of places for such foreigners' admission is defined by international agreements. Foreign citizens of this group are admitted to the university without entrance examinations and interview according to the applicants' record files, presented to the university by the Ministry of Education. Admission campaign for this group is from 1 till 17 July. Group № 2 – foreign citizens who apply for getting higher education by charge after having graduated from preparatory courses of institutions of higher educations with certificates where subjects and marks are mentioned. Admission campaign for this group is till 06 August. Group № 3 – foreign citizens who apply for getting higher education by charge according to the results of interviewing on the Russian language in oral form. Interview can be carried out distantly by using information-communicational technologies. Admission campaign for this group is till October 15. Citizens of Russian Federation, Kazakhstan, Kyrgyzstan, Tajikistan are given an opportunity to apply not only same as the citizens of the Republic of Belarus according to the results of tests, but also according to the terms provided for foreign citizens. According to the Decree of the President of the Republic of Belarus № 420 institutions of higher education of the Republic of Belarus can admit for getting higher education of the first level citizens of Ukraine who lived on the territory of Donetsk and Lugansk Regions of Ukraine, as a rule, not less than one year, and who arrived to Belarus for permission for temporary or permanent residence, in the case of presenting their documents, proving their living and studying on the above-mentioned territories, to study for free or by charge, provided for the citizens of the Republic of Belarus, on vacant places, in terms, fixed by the Decree № 13. 1. What courses does the university teach? Economic law (a lawyer in economics). 2. What is the form of the medical certificate the applicant submits to the Admissions Office? A foreign citizen applying to BarSU needs to submit a medical certificate issued by an official puplic health body in his home country confirming his capacity to study in the climatic conditions of the Republic of Belarus (form 086/ у ). 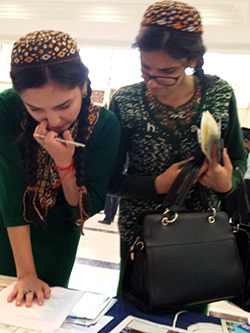 Foreign citizens, who arrive for studies, undergo compulsory medical examination at a local medical facility to confirm their capacity to study in the climatic conditions of the Republic of Belarus. If the medical certificate issused outside the Republic of Belarus does not agree with the medical examination results in Belarus, the applicant is obliged to leave the territory of the Republic of Belarus. Besides, the applicant needs to submit a medical certificate issued to the candidate by the official public health authority of his home country that the candidate is HIV-negative. 3. What should I do if I want to study at BarSU but I don't know Russian? An applicant whose knowledge of Russian is not sufficient for studies, can be enrolled on a preparatory course where Russian and other subjects are studied, according to the chosen program. Foreign nationals, who have completed a full course at the Faculty of Pre-University Training (a preparatory course), passed the final examinations successfully and have a certificate of completing a full course of studies at the preparatory department, can be admitted to the university without entrance examinations or interview. 4. Is there any age limit for foreign citizens entering BarSU? 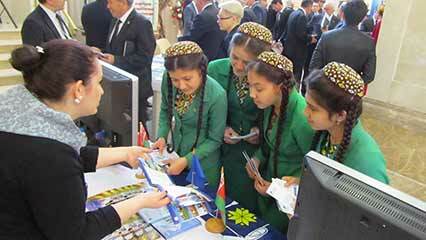 There is not any age limit for foreign citizens entering BarSU. 5. Are foreign students provided with rooms at University's dormitory? Foreign students are provided with rooms at University's dormitory. to place to BarSU account financial resources (tution and accommodation fees) stipulated by the Agreement on Tuition in full and in good time. Foreign students, who disregard their obligations, are expelled from the university and must leave the territory of the Republic of Belarus within ten days. Foreign students, who have committed a criminal or administrative offence, are held liable for their conduct in conformity with the legislation of the Republic of Belarus. 6. When do studies at the Faculty of Pre-University Training begin? As a rule, the studies at the Faculty of Pre-University Training start November 1 st .
7. How does one get an entry visa? An applicant submits to the university a set of documents required for invitation to the university. After the documents are considered by the university and a favourable decision is made in relation to the candidate, and after the invitation is endorsed by a body of internal affiars of the Republic of Belarus, an official inviation to study is sent to the Embassy of the Republic of Belarus in the applicant's home country. All visa-related questions can be specified at the Embassy of the Republic of Belarus in the applicant's home country. 8. What is the cost of living in Belarus? On average, living costs in Belarus range from 200 to 300 USD a month. 9. What is the financial liability of a foreign student in case of his or her deportation? The financial liability provides for covering the airfare from Belarus to the foreign student's home country as well as his or her keeping in places specified by competent authorities. 10. Are there any requirements for posting documents? The following information should be iprovided on the package of documents: the name of the course, the name of the faculty and the form of study (full-time or part-time).